ZINEFEST TICKETS GO ON SALE MARCH 1! This event is now sold out. If you would like to be added to a waiting list, please contact the Lodi Winegrape Commission office at (209) 367-4727. Tickets are not available at the gate and attendance is extremely limited. Tickets are $110 per person or $1,100 for a reserved table of 10. Please note: Physical tickets are not yet in stock. Physical tickets will be mailed to ticket purchasers once they are in stock. All tickets are non-refundable. We are not responsible for lost or stolen tickets. be pre-ordered by calling the Lodi Wine & Visitor Center at (209) 365-0621. Please note: Physical tickets are not yet in stock and are not available for in-person purchase. Pre-ordered tickets will be mailed to ticket purchasers once in stock. Tickets may also be ordered online. Tickets purchased online need to be printed at home. Bring your printed ticket with you to the event. Designated Driver (no wine tasting) tickets are available for $15 each in advance or $15 each the day of the event. Designated Drivers must be 21 years of age or older. Group tickets are available for groups of 20 or more at $45 each and can be purchased online or by calling the Lodi Wine & Visitor Center at (209) 365-0621. Online – Online tickets sales are now open. If you have technical issues while trying to purchase tickets, please do not continue to repeat transaction. 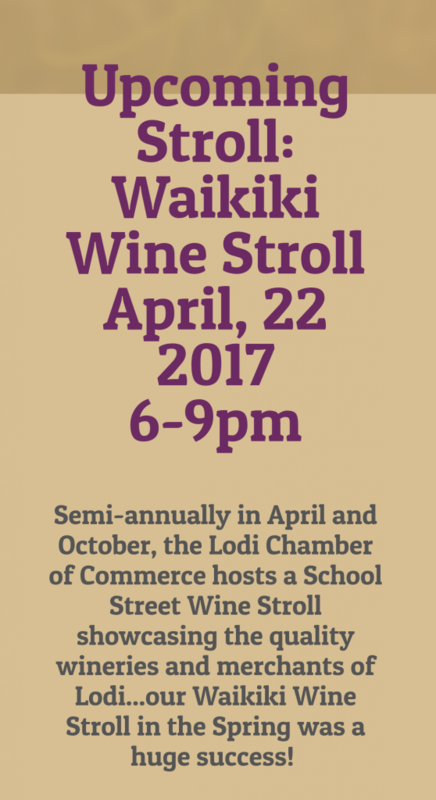 Instead, please contact the Lodi Winegrape Commission at (209) 367-4727. Tickets purchased online need to be printed at home. Bring your printed ticket with you to the event. Admission includes a wine glass, wine tasting, water, gourmet ciabatta bread, Wine & Cooking School seminars and live music all day. Food and merchandise sold separately. Phone – Advance tickets will be available for pre-order by phone to the Lodi Wine & Visitor Center at (209) 365-0621 beginning Wednesday, March 1, through Friday, May 12, at 4:49pm. All tickets will be mailed. Will Call is not available at ZinFest. Please note: Physical tickets are not yet in stock and are not available for in-person purchase. Pre-ordered tickets will be mailed to ticket purchasers once in stock. ZinFest is an adult orientated event. We do not allow children to attend. All tickets are non-refundable. We are not responsible for lost or stolen tickets. The ZinFest Winery Tours & Open Houses are available to all attendees of the ZinFest Wine Festival as well as guests and residents of the Lodi region. No ticket is required to attend the Winery Tours & Open Houses. Additional charges for food or tasting may apply. Please check with each individual participating winery for costs associated with Sunday’s Winery Tours & Open Houses. 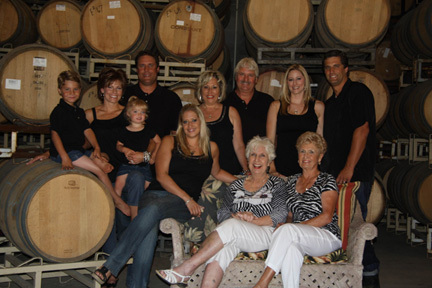 E2 Family Winery Launches new website! E2Family Winery launches new website! Just in Time for the Holidays! NEW RELEASE FRUIT WINE! Comments Off on ZINEFEST TICKETS GO ON SALE MARCH 1!